Angela and Doug believe fate brought them together. 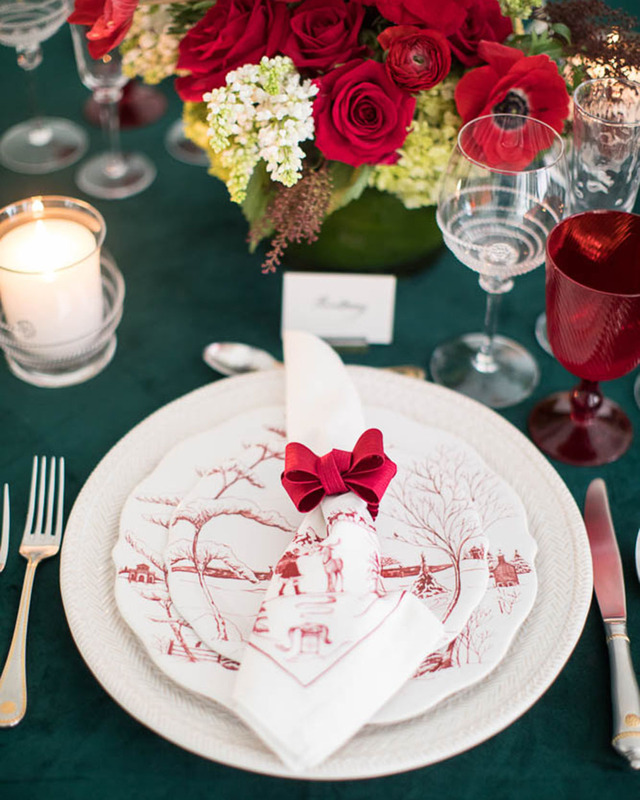 They met, fell in love, and celebrated their nuptials on New Year’s Eve at The Adolphus Hotel in Dallas, Texas. A sophisticated invitation suite in white and gold invited loved ones to the black-tie soirée designed by Todd Events. 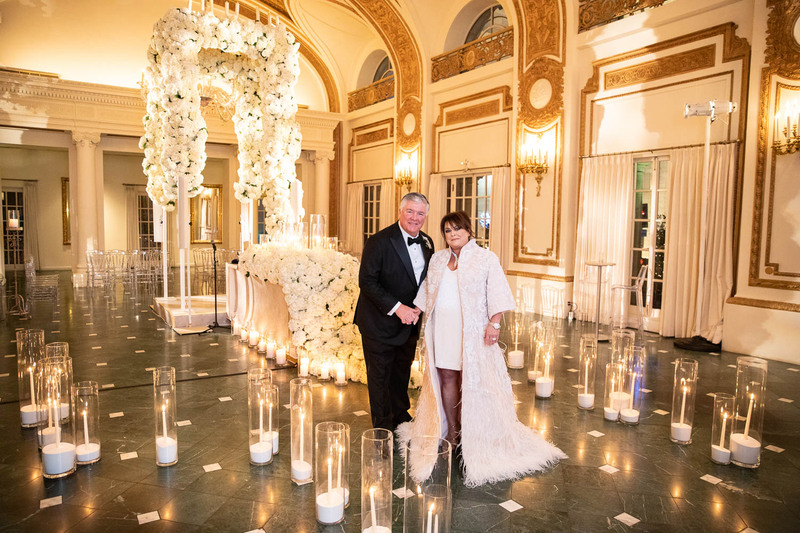 Following a “first look” and the traditional ketubah signing, the couple’s Jewish vow exchange took place in a gorgeous space with arched ceilings and stately columns. Guests found their seats at translucent chairs on the ebony marble flooring, which was decorated with tall hurricane vases holding flickering candles. Angela was beautiful in an above-the-knee dress paired with a feathered floor-length coat as she met Doug beneath a towering chuppah showcasing ivory hydrangeas. 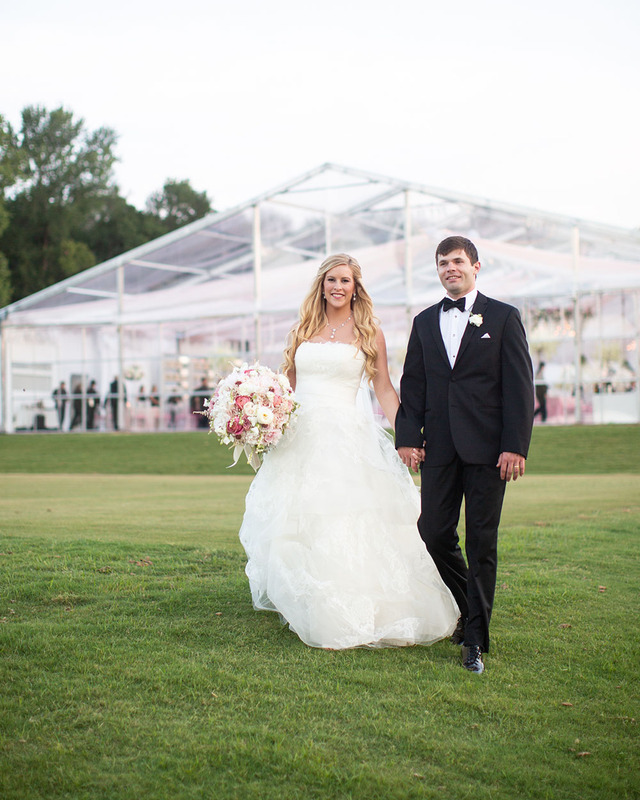 After the breaking of the glass, the newlyweds and their guests traversed into the reception space. Angela was beautiful in an above-the-knee dress paired with a feathered floor-length coat as she met Doug beneath a towering chuppah showcasing ivory hydrangeas. The hotel was decorated with festive New Year’s Eve décor including metallic silver and gold balloons as well as white orchids, and the reception ballroom was adorned with colorful blooms and similar balloons in shades of bright pink, emerald green, and fuchsia. A live band kept friends and family entertained on the mirrored dance floor until the clock struck midnight and confetti exploded in celebration of the bride and groom as well as the new year.